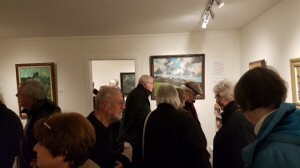 Colony Art Gallery in Rochdale. The group was treated to some fantastic art and the chance to talk to Anthony and Richard about the work on display as well as hot drinks and much better biscuits than we usually get at our meetings. We were able to get much closer to the work than is usually possible in the galleries we visit. 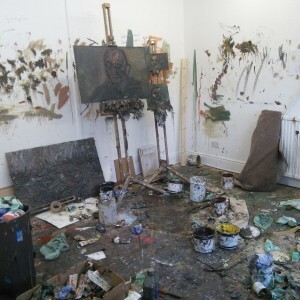 In addition we could go into Richard’s (Fitton) studio as well even if we had be careful to avoid getting covered in paint! 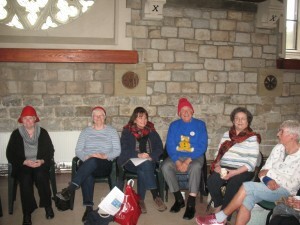 The group meets once a month. There were four visits out in 2017. 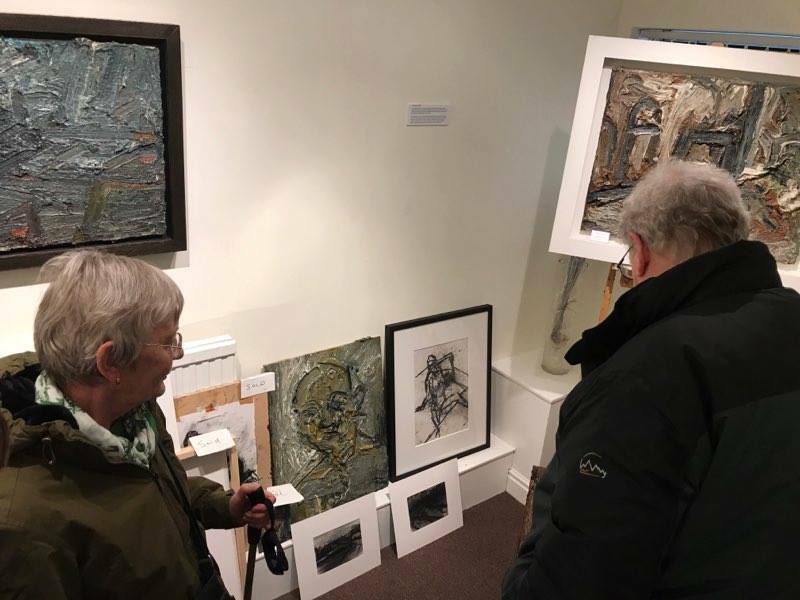 We went to The Haworth Gallery in Accrington to see their Tiffany glass collection in February and followed this up with a visit to John Ditchfield’s Studio on The Fylde in May. 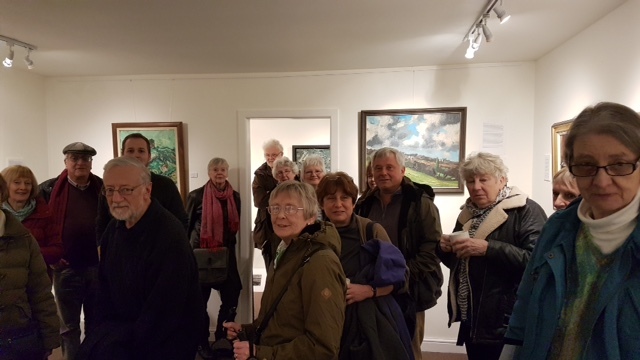 August saw the group at The Hepworth in Wakefield to see several exhibitions including the Howard Hodgkin exhibition ’Painting India’. Then in November it was the newly reopened Leeds City Art Gallery with exhibitions ranging from the 20th century radical sculptor Joseph Beuys to the sketches of the 19th century water-colourist Joseph Cotman. 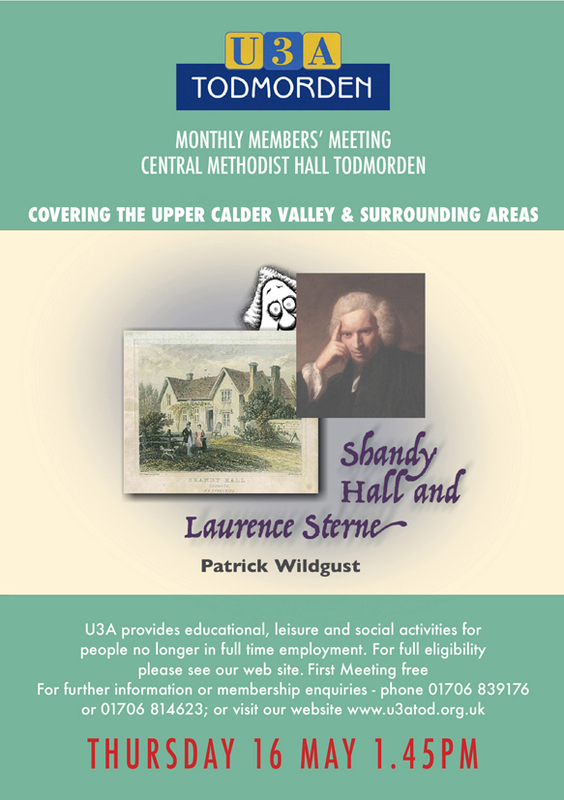 The remaining meetings were held in Todmorden and included visiting speakers: local ceramist/artist Gary Thomas speaking about his work on paper and Angela Jarman speaking about her Aunt Peggy the famous botanical artist Margaret Mee. 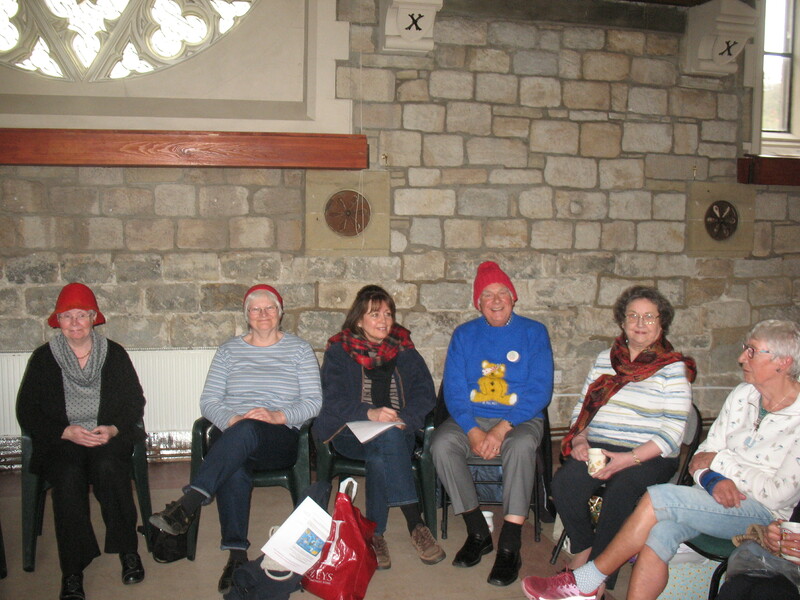 Group members gave presentations on a range of topics including The Mosaics of Ravenna, The Radical Eye exhibition of Elton John’s photographic collection, Photographers different approaches to photographing people, Chagall’s stained glass, the glass worker Sam Herman, Art That Works. 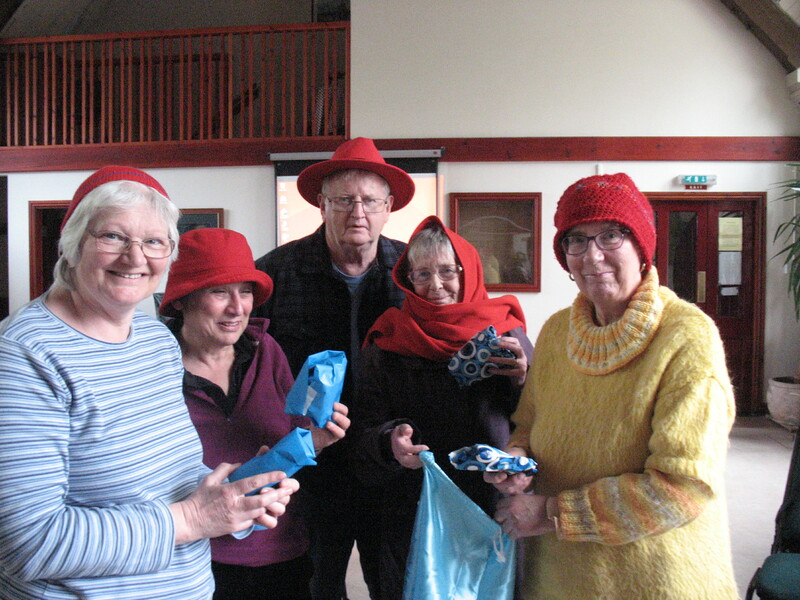 Many of the group turned up for a talk on ‘Yarns – Is Knitting an Art Form?’ wearing red hats or scarves and some knitted during the talk. 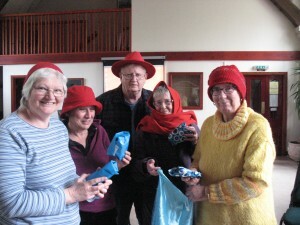 We were also introduced to an image of a knitted full size red Ferrari in another talk on The Art of Knitting. One of the highlights of the year was delivery of a piece of ‘performance art’ during a short talk on Dadaism. We started the year by viewing and discussing a DVD on Auerbach and finished the year with our annual quiz which ended with several tie break questions to decide which team would receive the ‘wooden spoon’ prize. Others that develop along with the group. The group will not restrict itself to paintings but may also cover photography, sculpture, architecture etc. dependent on member’s interests.